Lavender Oil for Face – What are the Benefits and How to Use It? Lavender is one of my all-time favorite herbs. Its distinct color, refreshing flavor and soothing scent is almost magnetic, that I am constantly attracted to lavender in any form; be it fresh, dried or even infused into culinary or cosmetic preparations. Although I prefer fresh lavender for skin care needs, it is not always possible to obtain it. In such situations, I have found that the next best option is lavender oil. Lavender oil is in fact, an amazing ingredient that works wonders in beauty treatments for the face and skin. Lavender oil corrects and controls various problems like acne, signs of aging, inflammation and infections that affect facial skin. It is also full of anti-oxidants and has powerful anti-microbial abilities. This superstar among herbal oils can be used in numerous ways to address different skin problems. But before we look at how to use it, let us quickly find out more about how lavender oil is extracted and what makes it so special. Lavender is a shrub that belongs to the mint family. It commonly grows in North Africa and the Mediterranean mountains. The plant can be identified by its distinct purple-colored flowers that form a spike-like structure that rises into the air. Lavender essential oil is extracted from dried lavender flower buds and is power-packed with all the beauty benefits of this herb. Commercially available lavender essential oil is obtained by steam distillation of the flowering parts of the plant. This oil contains lavender in a highly concentrated form and is extensively used in aromatherapy. When you use lavender oil in any skin care treatment, take care to dilute it prior to use since it is in a highly concentrated form. Place lavender cuttings in an airtight glass jar. Pour the oil over the lavender cuttings and let the flowers steep in it for at least two days. Preferably place it in a sunny area to speed up the process. Strain the cuttings and transfer the oil into another glass container. 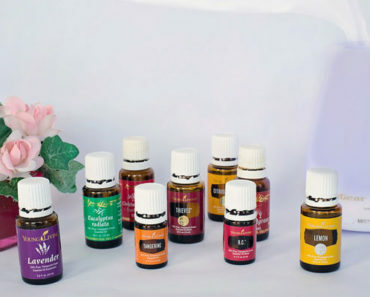 Make sure to squeeze out the flowers, so you do not lose any of the beneficial oils in it. Now add another batch of lavender cuttings into the original jar. Then pour the same oil over the cuttings and leave it to steep for few more days. Once again strain the oil. It is now ready for use. Why is Lavender Oil Useful in Skin Care? Did you know that lavender was used by ancient Greeks and Romans in their baths for its strong cleansing properties? High-quality lavender oil provides all the potent benefits of the herb that it is derived from and has highly beneficial skin-nourishing and health properties. Lavender contains over 150 active ingredients, of which linalyl acetate, linalool, terpinen-4-ol, and camphor have germicidal properties, while cis-ocimene, lavandulyl acetate, 1,8-cineole, limonene and geraniol are anti-inflammatory and anti-microbial agents. The usefulness of this oil is mainly two-fold. Firstly, due to its distinguishing and soothing fragrance, it creates a relaxing effect when applied. Secondly, the powerful skin-nourishing ingredients and germicidal agents in lavender oil target various skin conditions like acne and skin infections. Let us explore these uses in closer detail in the coming section. 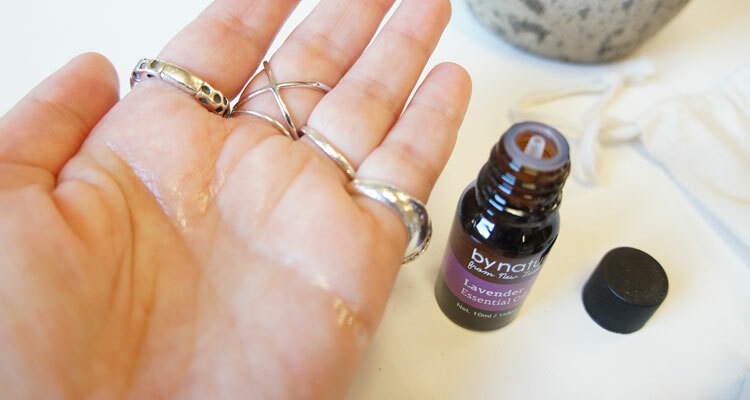 Lavender oil is an amazing ingredient to include in your daily skin care routine. Being a natural oil, it is free from chemical agents that irritate the skin or cause various side-effects. Here are the different uses of this herbal oil. 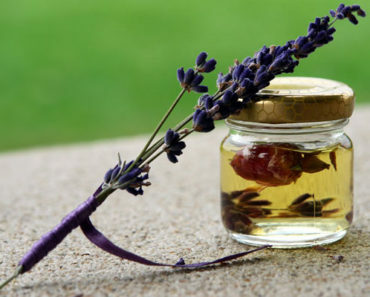 There is a reason many acne-creams and lotions contain lavender oil. Lavender oil moisturizes skin and encourages normal functioning of the sebum glands. 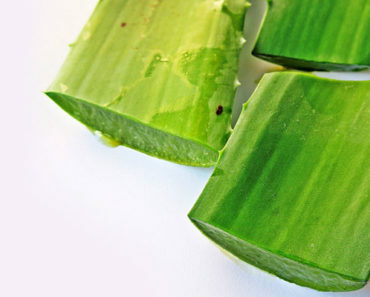 Its anti-bacterial properties help to control the growth of pesky bacteria that can trigger or worsen acne breakouts. Lavender oil is also an anti-inflammatory agent that relieves swelling and redness associated with acne outbreaks. Lavender oil is rich in antioxidants and natural vitamins that refresh and rejuvenate skin. When you apply this oil to your face regularly, it helps your skin fight against the effects of pollution and free radicals and restores natural glow. Lavender oil can soothe and repair damaged and infected skin. 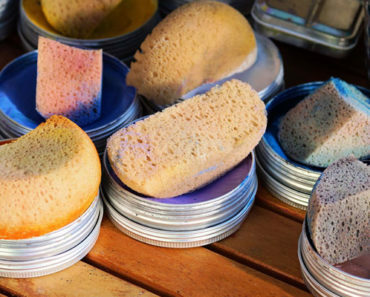 Dab it on insect bites or areas with skin infections and wounds to reduce itchiness and redness. When used on allergy and infection sites, lavender oil helps to control the extent of damage and promotes skin repair. Lavender oil is neither too oily nor too dry. However, it has good moisturizing properties that can alleviate dry skin conditions. The oil effectively restores moisture balance of the skin, thus keeping it problem-free and glowing. If wrinkles and fine lines have started appearing on your skin, lavender oil is the solution you need. As a powerful source of antioxidants, it fights free radicals in the skin and delays the onset of signs of aging. Its moisturizing properties also help to retain the skin’s natural oil balance and improve its appearance. Lavender oil also acts against age spots and sun-damage to create a clear and smooth complexion. Lavender oil is a good toner that firms and strengthens skin cells. It improves overall blood circulation when massaged into the skin and keeps it healthy. How to Use Lavender Oil for Face? There are different ways in which you can use lavender oil depending on the results you wish to obtain. You can add it to your daily facial cleansing routine as a moisturizer and toner. All you must do is dilute lavender oil with a carrier oil like jojoba or almond oil and use it to moisturize your skin. Another way to use it is to add a few drops of this oil to your regular moisturizer and apply it as usual. One of the most popular uses of lavender oil is in the treatment of facial acne. Let us look at how this is done. We already saw that lavender oil helps to control acne problems because of its anti-microbial and anti-inflammatory properties. So, if you are constantly bothered by acne breakouts, this face pack recipe will help you get this condition under control. Mix powdered oat meal, honey and sufficient quantity of water into a paste. Add lavender oil into this mixture and blend it well. Apply it on your face and leave it on to dry. Gently wash it off by scrubbing the mixture in circular movements. Pat your skin dry. Use this acne control face pack at least once a week and you will soon observe a decrease in the frequency with which acne problems affect you. Acne-prone skin is also highly prone to scars and blemishes. However careful you are, you may still pop a pimple and end up with an ugly scar. Fortunately, lavender oil can also be used as a spot treatment when a pesky pimple bursts and leaves a scar behind. You can also use this same treatment on a pimple that has just appeared or is about to surface. Mix all the ingredients well so they blend thoroughly. Dip a cotton swab in this mixture and apply to the affected spot gently. Leave it on your skin for half an hour, so the oil mixture is absorbed, and gets sufficient time to act on the affected skin. Repeat daily and your acne marks will begin disappearing. What You Should Know About Using Lavender Oil for Face? Lavender oil is a highly concentrated aromatic oil. Few drops of this oil are enough for most skin treatments. Make sure that you always dilute it with a suitable carrier oil before applying it to your skin. The therapeutic effectiveness of lavender oil is directly linked to the quality of oil you choose for the purpose. Hence it is important to use good-quality, organic oil to obtain good results. So, the question is which lavender oil will provide maximum benefits? There are two important factors to look out for, when choosing lavender oil for skin care purposes. Remember that it takes a lot of plant parts and several stages of processing to produce a small bottle of lavender oil. Hence, it will be expensive. So, if you come across a discounted product, it is probably because the quality has been compromised or else it could be an older sample that is nearing its expiry date. High-quality lavender oil is costly. So, it is a good idea to do some research on the product you plan to buy before actually making the purchase. Choose pure organic lavender oil from reputable brands only, so you know that it hasn’t been mixed with other ingredients. Good quality oil will always be stored in a glass bottle of dark color to prevent degradation due to photo-exposure. Labels like “wild-crafted” and the USDA seal also suggest that the product is genuine. Lavender oil is an expensive aromatic oil. However, there is a bright side to spending money on it. You need very small quantities for each application and so a small bottle will serve you for a long time. Although this oil is extensively used in beauty treatments, you cannot discount the fact that it can trigger allergies. The constituents of lavender oil, namely geraniol, linalool and linalyl acetate are contact allergens, that can cause rashes and skin allergies. So, be careful when using it on your face if you have sensitive skin. Always start with a patch test on a small area of skin. If there are no undesirable reactions, you can continue to use it as intended. Limited studies have been conducted on how safe lavender oil is during pregnancy. If you are pregnant or nursing, use this oil only after consulting your doctor. Since it affects hormonal activity, it is not recommended for use by young boys. The benefits of lavender oil are not limited to those for the skin. This magical oil has also been used for ages to treat various medical and health conditions, like the following. When inhaled, lavender oil calms and relaxes the body. Hence, if you are suffering from sleeplessness, use few drops of this oil just before you retire to bed to promote deep sleep and relaxation. 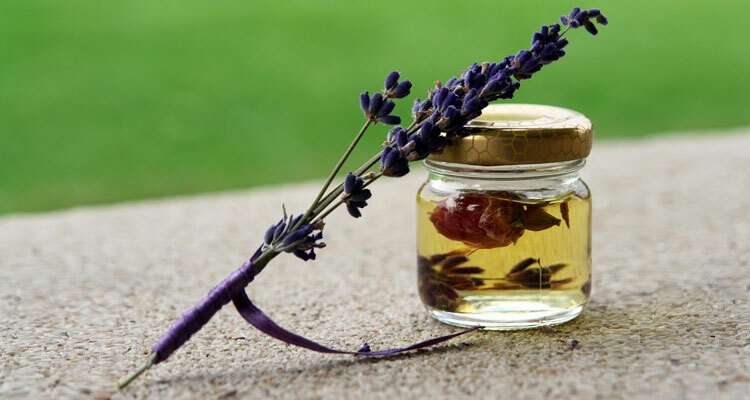 Undiluted lavender oil can help to repair skin that is affected by cuts, wounds and burns. It may be applied to bleeding wounds to stop bleeding. The anti-microbial action of lavender oil curbs growth of bacteria and prevents infection from spreading. Lavender oil moisturizes the scalp and promotes healthy hair growth. It reduces dandruff problems and keeps the hair naturally shiny. If you suffer from motion sickness, lavender oil can provide you great relief. Smell it at regular intervals during your journey and apply a drop to your ears or under the navel. It will calm and relax the body and alleviate nausea symptoms. Lavender oil is a versatile herbal oil, offering great benefits when used on the face and skin. High-quality, organic lavender oil provides excellent relief from acne and dry skin conditions. The invigorating scent of this oil also helps to calm and relax the mind, making it a pleasant product to use. Include this highly desirable aromatic oil in your daily self-care routine and enjoy its lavish healing effects and soothing scent. It won’t be long before you will realize why lavender oil is the beauty world’s obsession.